Lately, I have become fascinated with cake pops. The first time I made them (using packaged frosting and candy melts, as so many tutorials directed) they were way too sweet and lacked depth of flavor. 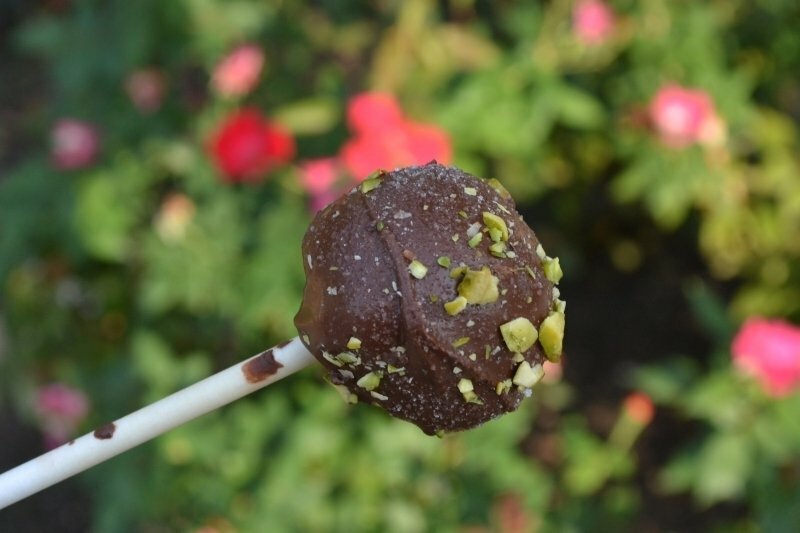 So ditched the candy melts in favor of real chocolate and turned to the herb garden for inspiration, designing a rose, cardamom and pistachio cake pop; a basil and strawberry cake pop; and a lemon thyme and lavender cake pop. In all of the recipes below, I used a plain boxed cake mix. Each cake was baked per package instructions, then I added the herbaciously flavored home-made buttercream frosting to give it character. 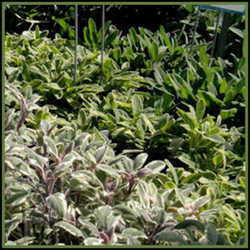 I tried to use this project to highlight different techniques for incorporating herbal flavors. Crumble cake into a roasting pan or very large bowl. Roll the cake paste into ping-pong ball sized balls. Melt chocolate in a narrow, deep bowl (I use a mini crock pot), making sure it is almost full. Dip the stick in the chocolate, then impale the cake ball on it, pushing the sick about two thirds of the way through the cake ball. Place the cake ball into the chocolate, and tilt it to cover. Use a spoon to ladle the chocolate up the sides if it gets low, but try not to touch the cake. Pull the up from the chocolate carefully, tap the stick on the side of the bowl to let excess chocolate drip off. Push the end of the stick in a block of Styrofoam or a cup filled with uncooked rice so the cake pop can dry. Chocolate cake is mixed with a buttercream infused with fresh rose petals and ground cardamom, then dipped in chocolate and sprinkled with minced pistachios and rose sugar. 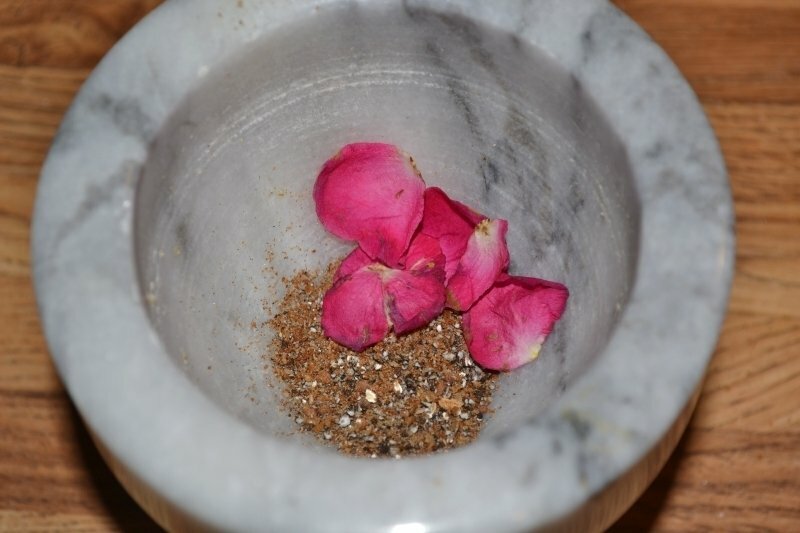 Technique highlighted: grinding herbs together with sugar, salt or other dry solids using a mortar and pestle. 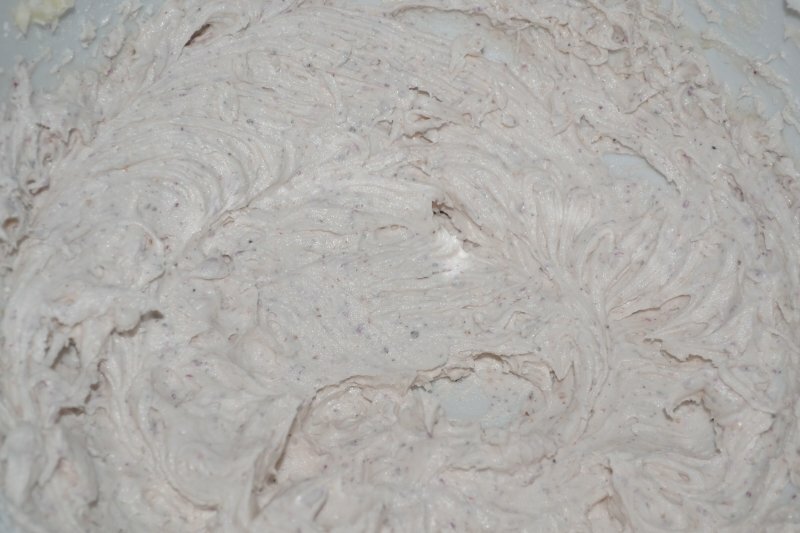 Place rose petals, cardamom and the 2 tbsp. confectioner's sugar in a mortar and pestle. 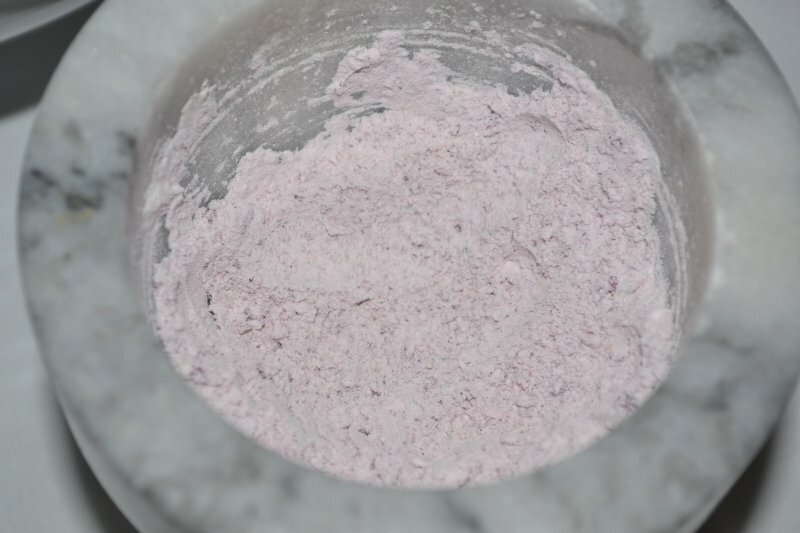 Grind together until you get a pink, powdery paste. In large bowl, cream shortening and butter with electric mixer. 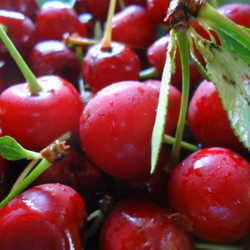 Add vanilla, rose paste and remaining sugar. Add rose water. Lemon caked is mixed with strawberry-basil buttercream, then dipped in chocolate and sprinkled with pink sugar. 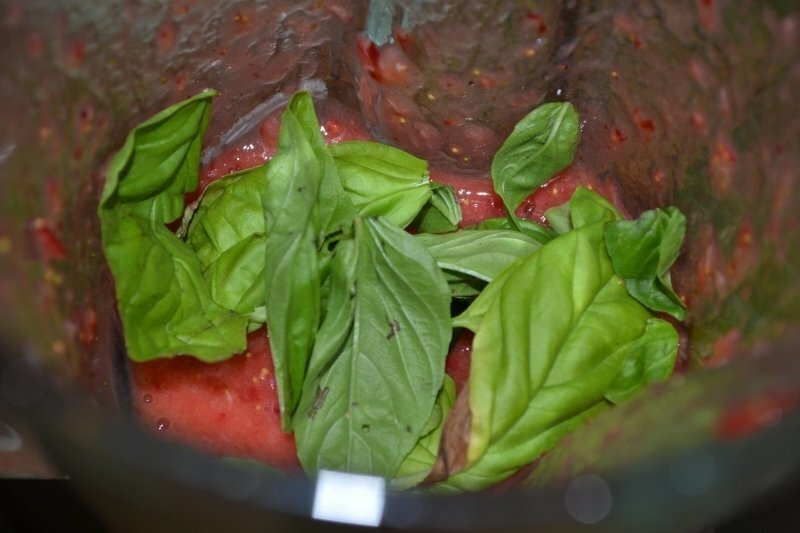 Blend strawberries and basil in a blender until strawberries are well pureed. Pour into a large bowl. 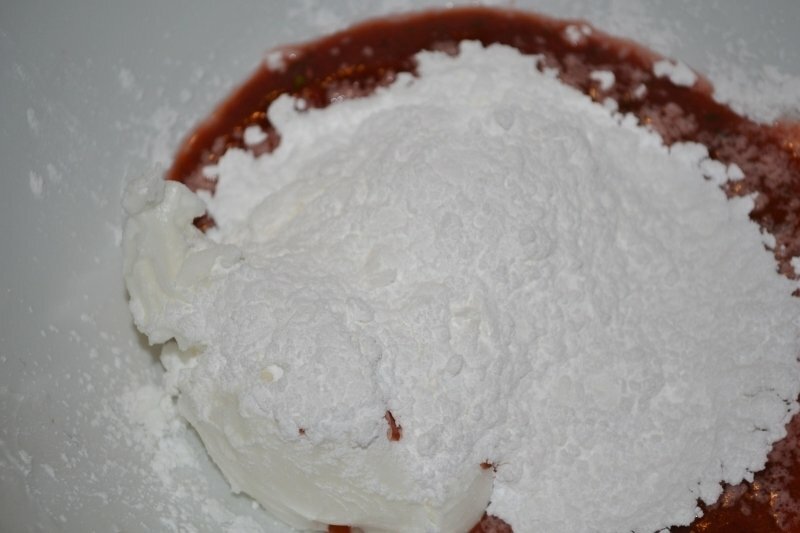 Add shortening and sugar and blend with electric mixer until smooth. 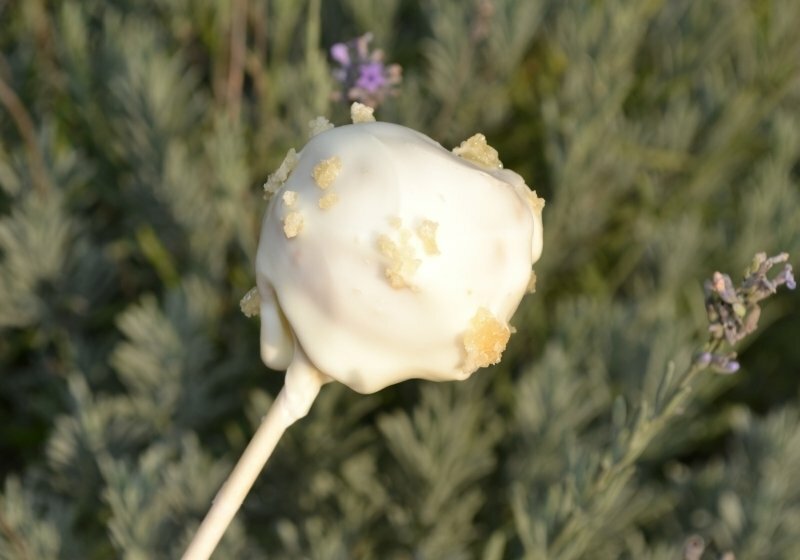 Vanilla cake is mixed with buttercream that has been infused with lavender and studded with finely minced lemon thyme leaves, then dipped in white chocolate and sprinkled with lemon peel sugar. 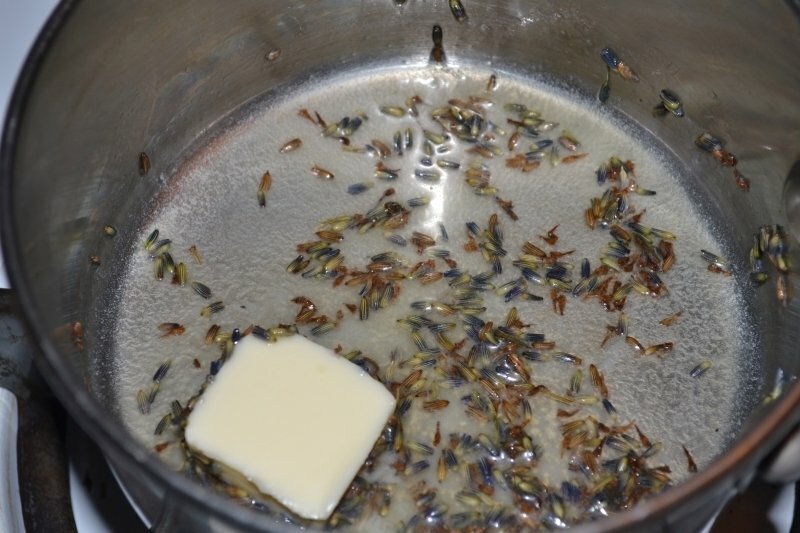 Technique highlighted: Infusing herbal flavor into butter, cream or other dairy product. 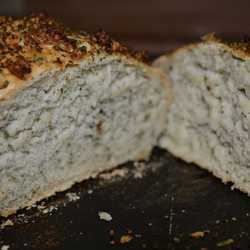 Once you get a feel for these techniques, feel free to substitute your own herb, spice and fruit combinations. 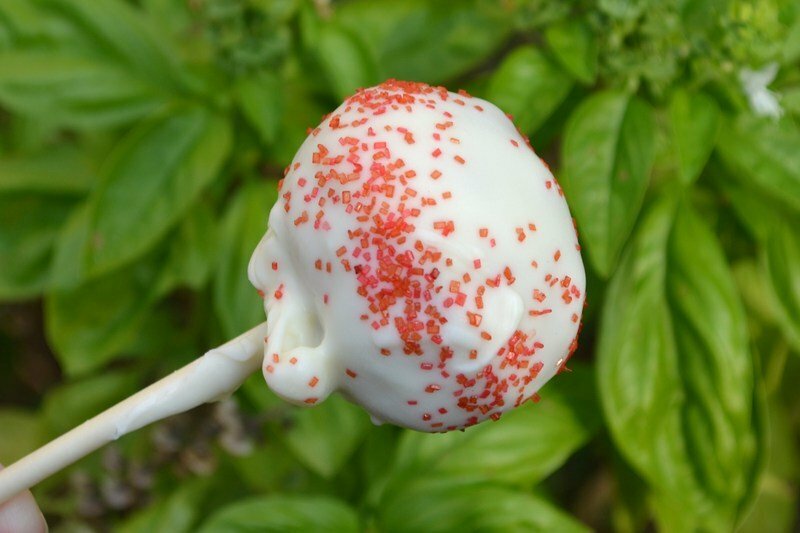 Cake pops are great for parties (they are portion controlled, don't require a plate or fork, and really cute), and once you get the basic technique down, yours are sure to be a hit.